At Cabrillo Apartments, we offer seven distinctive floor plans for luxury one and two bedroom apartments in Scottsdale, AZ. We are ideally located to take excellent advantage of the fine art, outdoor adventure, world-class dining, and dynamic energy of this southwestern oasis. After hiking among the saguaros in McDowell Mountain Regional Park, playing a round at Eagle Mountain, or putting a long day in at your desk, you’ll be delighted to come home to Cabrillo Apartments deluxe apartment homes. 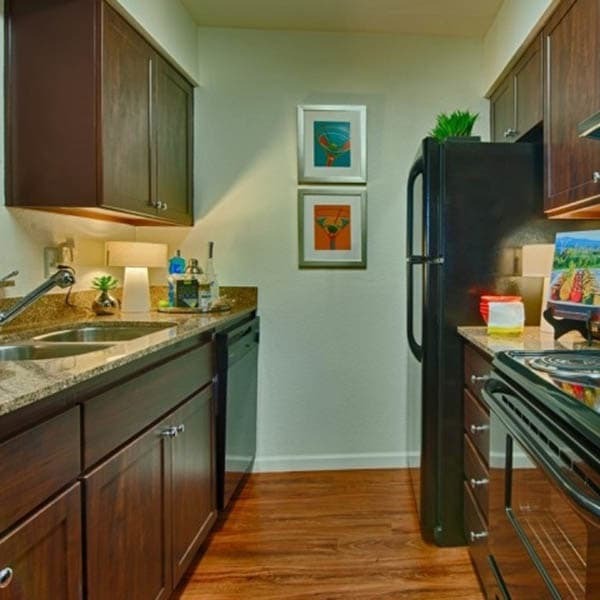 Community amenities abound at Cabrillo Apartments. Meticulous landscaping sets the stage for a resort-style deck and pool. Stay fit and have fun at our well-equipped fitness center or on the basketball court. The picnic and barbecue area is a fine place to kick back with friends and enjoy the Arizona sun. 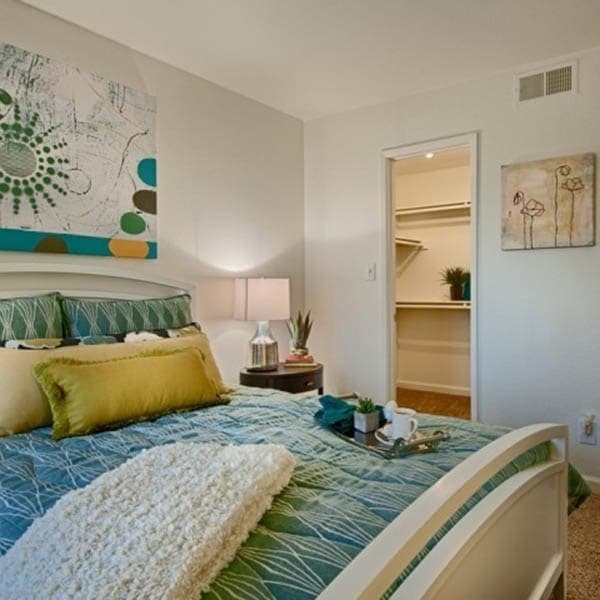 Drop by for a visit and see why residents love resort-style living at Cabrillo Apartments. Our one and two bedroom apartments feature thoughtful design and high-end finishes to complement and enrich your lifestyle. Plank flooring, granite countertops, and plentiful storage provide effortless style and high function. Full-size kitchen appliances and an in-unit washer and dryer streamline daily tasks. Select apartments have built-in fireplaces for cozy evenings in. All apartments offer the serenity and open air of a private patio or balcony. 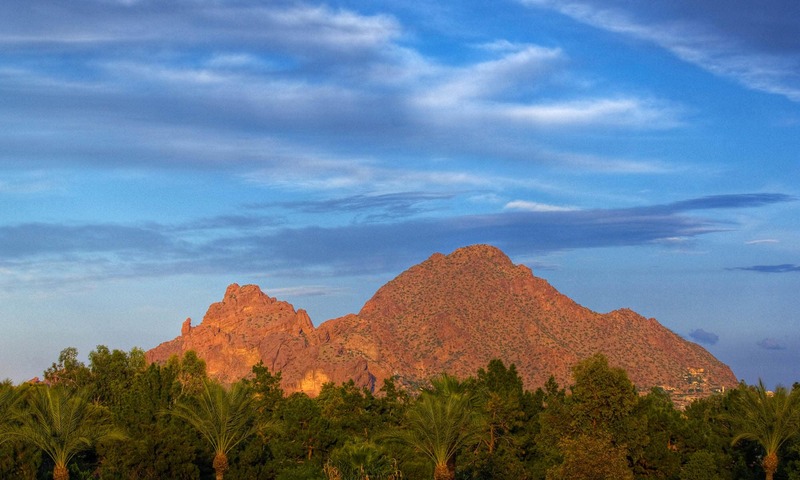 Scottsdale, AZ, is a precious gem among urban centers in the Valley of the Sun. The calendar is filled with festivals and events celebrating the rich culture of the Southwest, as well as the greater global community. In addition to its reputation as a resort destination, the city supports companies dedicated to health care, technology, and education. Cabrillo Apartments keeps you close to it all, including magnificent trails, fantastic food and drink, and endless sports and entertainment opportunities. 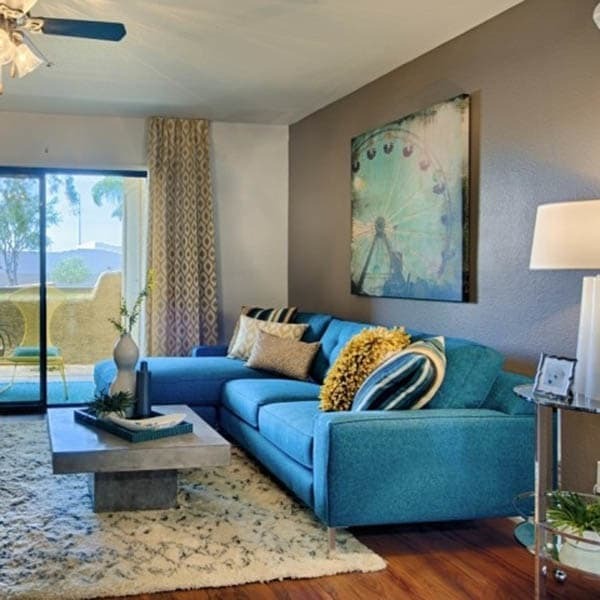 Contact our leasing office to learn more about exceptional one and two bedroom apartments in Scottsdale, AZ. 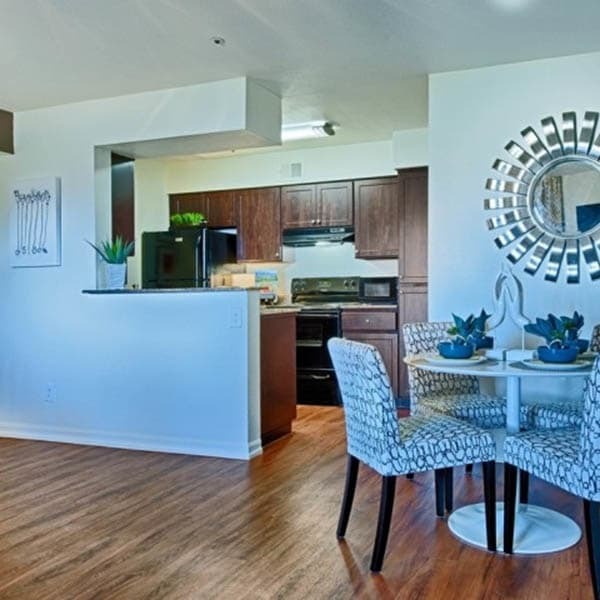 We are eager to welcome you home to Cabrillo Apartments.